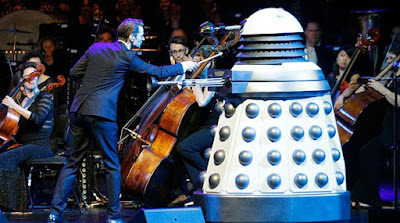 Hitting arenas across the UK this May 2015 is the Doctor Who Symphonic Spectacular. Hosted the fifth Doctor himself, Peter Davidson, this is a must-see for Doctor Who fans of all generations. It is a visually exciting concert that celebrates the musical score of the popular BBC series since 2005, and features the BBC National Orchestra of Wales and the BBC National Chorus of Wales. This is the first ever UK tour of the show since it went down a storm in Australia. See live Doctor Who monsters, and big-screen reincarnations of all the Doctors as it tours London, Cardiff, Birmingham, Leeds, Newcastle and Glasgow between 23rd and 29th May. You can buy tickets and see venue dates on the tour's official website.